You may have noticed that the word “massage” is missing from recent iterations of our logo. When Colin and I were looking at potential spaces for the float center, we were finding spaces that were either half the size we needed, or four times too large. There wasn’t a lot in between. After thinking about it, talking about it, and floating on it, we decided to go with a smaller footprint, and keep my massage office separate from the float business. I think this will be a fine decision for Float, going forward. We’ll be able to concentrate on promoting flotation therapy as the unique and exciting thing it is. We will be doing business as Float Boston, with the tagline “Flotation Therapy.” We’ll be fixing our branding over the next few weeks to reflect this. You may get notifications from facebook and other platforms as they process the change. 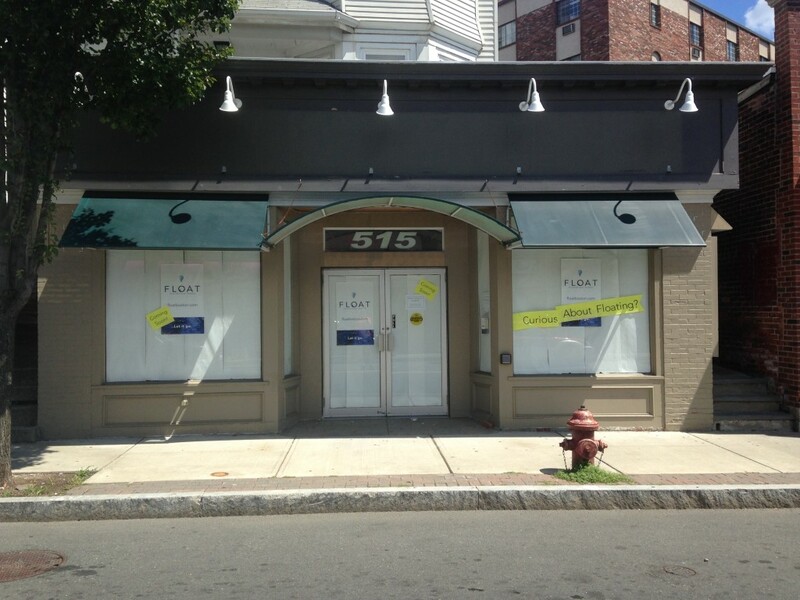 Our storefront. We’ve put our banners in the windows and papered them over in preparation for the work we have to do. We found our designer Jennifer Mangini Perry through my friend Amber, whose cool kettlebell logo I’d admired. I looked through her work, liked her aesthetic a lot, and asked her if she could work something up for us. Jen talked with us, got a sense of the business and what we are like as people, and then took all of our ideas and came up with something we love! 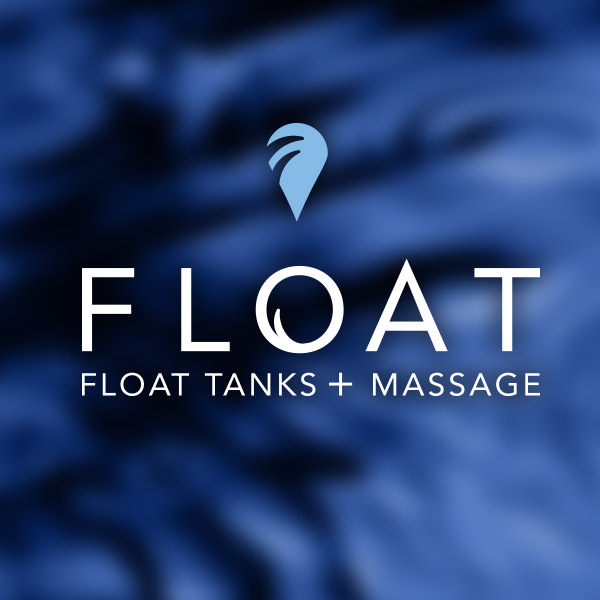 Float: Float Tanks + Massage. Logo designed by Jennifer Mangini Perry. Colin and I both love the logo’s clean, restful look. The upward-drifting droplet really grabbed me, and I like that this will be our central image. (We asked Jen to do a bunch of nitpicky things on the way to the finished product, including trying out the droplet as the O in Float… but that just made it look like our name was “Flat.”) You’ll see the droplet used in different ways in the future. I’m really excited to have Jen’s work be the face of our brand. We’ll be rolling this out to all of our platforms in the next week or so.